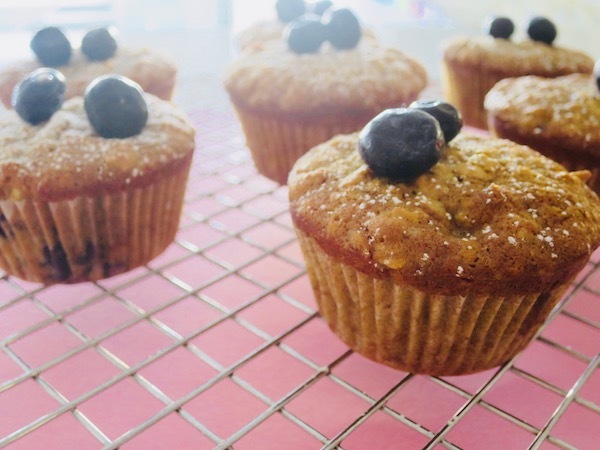 A quick post on a quick bake up – yummy blueberry and oat muffins! 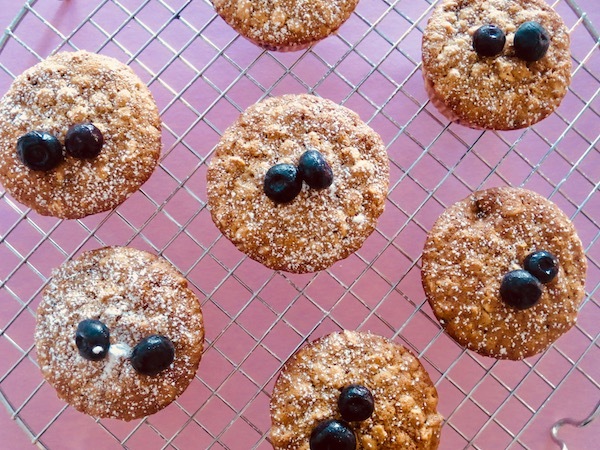 These blueberry and oat muffins are from somewhere between a cupcake and a muffin. Soft cake like texture with oats adding little bite and blueberries bursting with flavour. 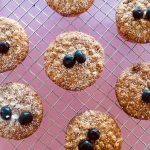 They work perfectly for breakfast or a healthier snack for afternoon tea time. Preheat oven to 180ºC (350ºF) and grease a muffin tin or line with cupcake cases. In a mixing bowl combine sugars and butter and beat on medium speed for 3 minutes. Add egg and continue to beat. In separate bowl combine flour, oats, baking soda, baking powder, cinnamon and salt. Add dry ingredients to creamed mixture and beat on low speed adding the milk and vinegar. Mix only until incorporated. Remove from mixer and add blueberries gently folding them in the batter. 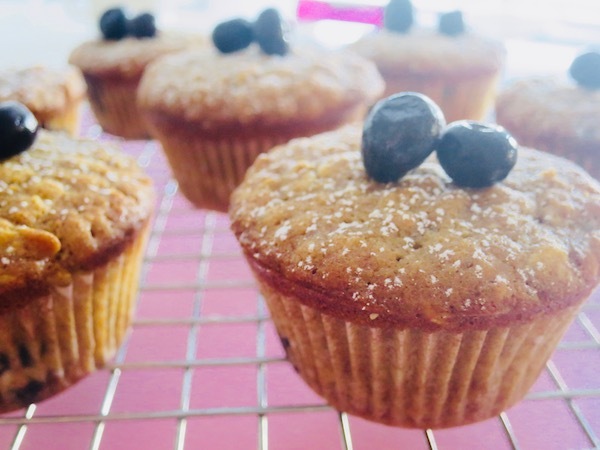 Spoon into prepared muffin tins and bake in preheated oven for 20-25 minutes until a toothpick inserted in middle comes out clean. Allow to cool in tins for few minutes before removing. Dust with icing sugar and serve topped with fresh blueberries.